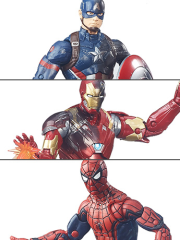 When the lines between right and wrong are blurred, which heroes will emerge victorious? 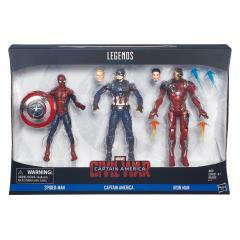 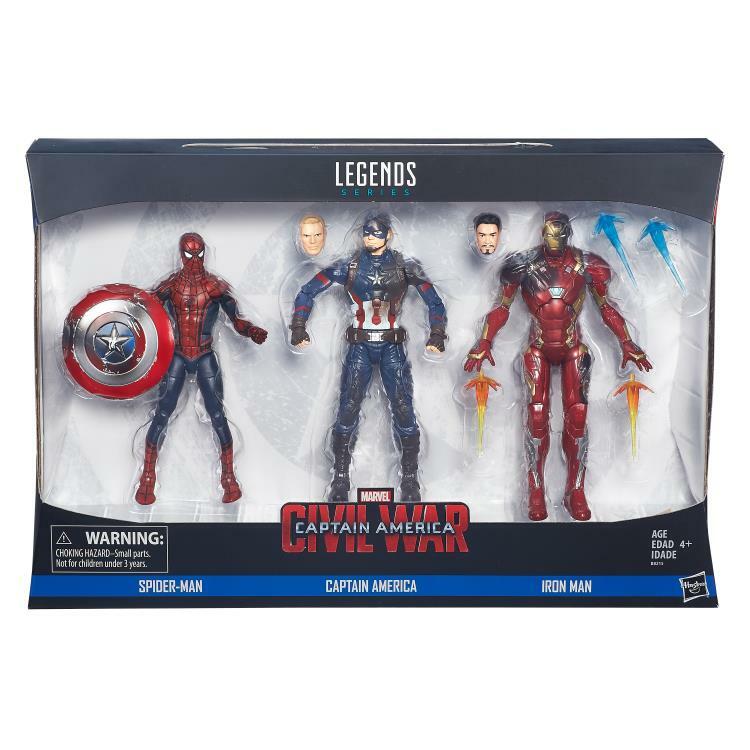 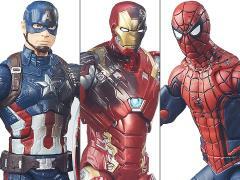 Enter the battle with this pack of 3 6-inch Marvel Legends Series figures, including Iron Man, Captain America, and Spider-Man. 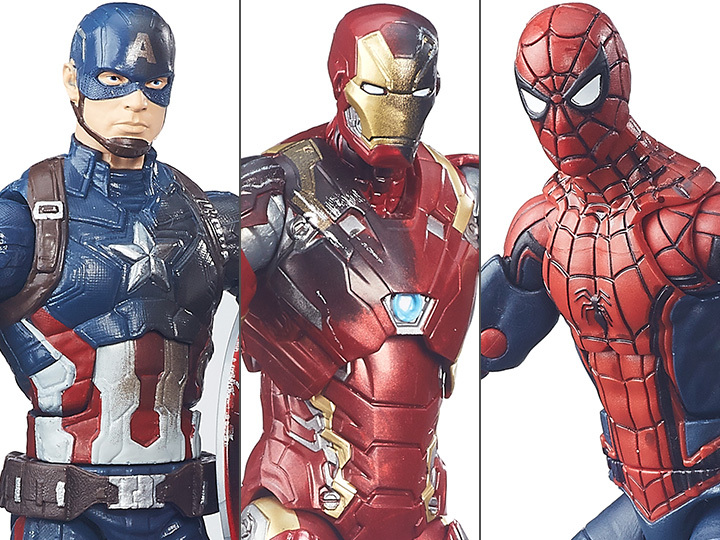 These figures come with alternate heads and awesome accessories, and are designed to look just like some of Marvel’s most iconic Super Heroes! 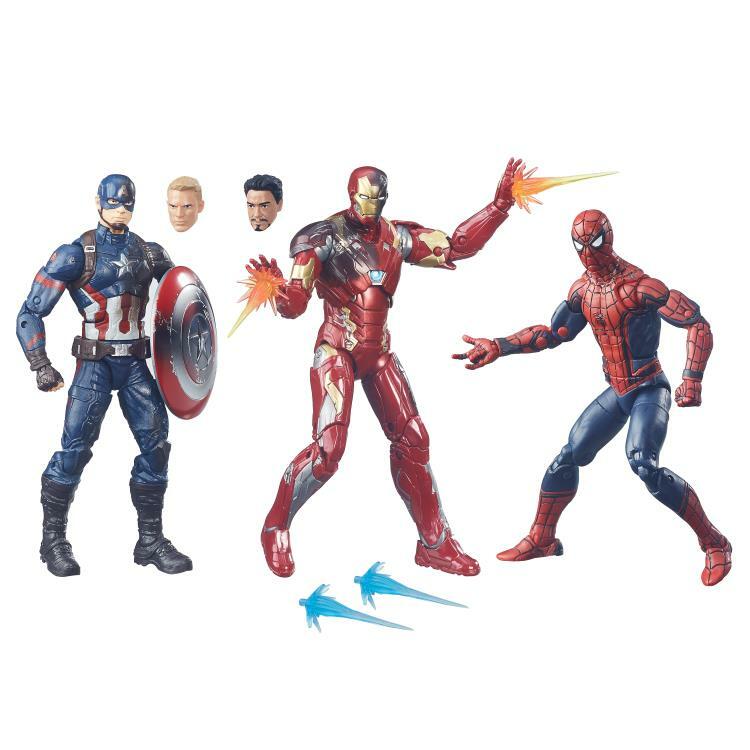 With this super trio, kids and collectors alike can set up their figures in epic poses and imagine sending their favorite heroes into battle. Iron Man, the tech-savvy hero with an armored suit that gets him primed and ready for all kinds of battle action, Captain America, America’s First Super Soldier, who’s always prepared for the fight with his indestructible shield and eye for justice, and Spider-Man, the web-slinging, wall-crawling hero that sends bad guys running are in this set.